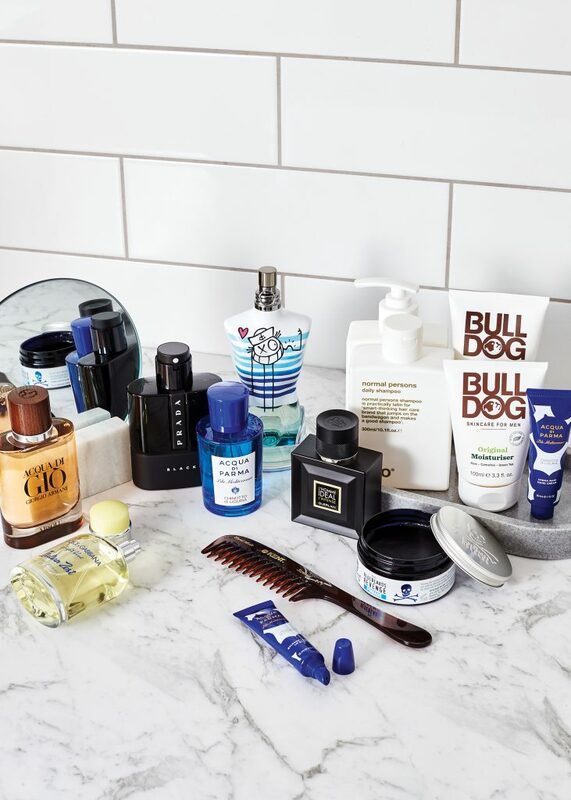 Tame that ‘fro, groom that beard, smooth that skin and make sure you’re prepared for the day ahead with the best grooming essentials. From left to right: Giorgio Armani Acqua Di Giò, EDP, 75ml, $162; D&G Light Blue Italian Zest pour Homme, EDT 75ml, $102; Prada Black, EDP, 100ml, $189; Acqua di Parma Chinotto di Liguria, EDT, 75ml, $138; Jean Paul Gaultier Eau Fraiche Le Male, EDT, 125ml, $144; Acqua di Parma Chinotto di Liguria, Lip Balm, $29; Kent 21T Double Row Detangling Comb, $15, from Manave.co.nz; Guerlain L’homme Idéal L’intense, EDP, 50ml, $129; Evo Normal Person’s Daily Shampoo and Conditioner, $39.50 each; Bluebeards Revenge Pomade, $24, from ManCave. co.nz; Bulldog Skincare Original Moisturiser and Sensitive Face Wash, $14 each; Acqua di Parma Chinotto di Liguria, Hand Cream, $39.